The Solid Waste Treatment Plant at Lamdeng, constructed by the Manipur Government with a project cost of Rs. 4175 crore, had been upgraded from it's " Waste to Compost" policy to " Waste to Compost and Energy". The treatment plant reformed itself purely on Public Private Partnership (PPP) model, without any further investment from the State Government. The target of the power plant is to produce One Megawatt of power energy by using gasifier. As of now, 19 staffs- 11 regular and 8 daily wages staffs are working at the plant. The entire capacity of the Treatment Plant, which was earlier 100 tones/day, has been upgraded to more than 120 tones with an output of 14 percent high-grade bio-composes daily. The venture was introduced to end the Municipal Solid Waste (MSW) management in Imphal to overcome the challenges of the conventional method of waste collection, transportation and disposal. Separation of dry and wet, biodegradable and non-biodegradable waste was not done at source even though the municipal laws stress the importance of it. The dependence on modern methods of waste recovery and recycling is alarmingly negligible, and thus requires public-private partnership (PPP), public participation, awareness campaign and implementation of existing laws. 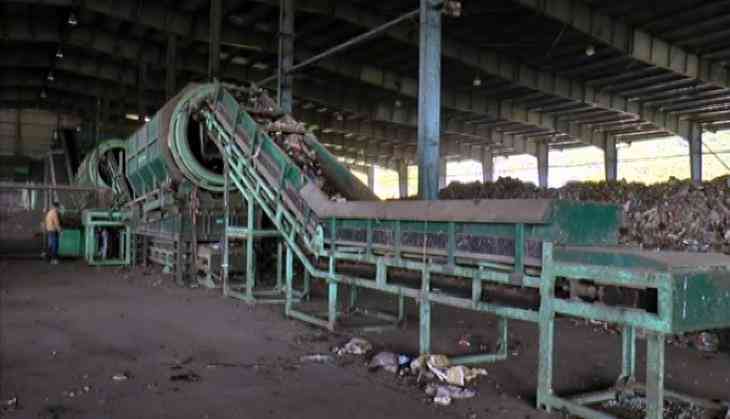 "The state has been facing problems of dumping and treating waste products and the plant once functional will solve the problem to a large extent", read an official statement released by the management on Friday. The local residents had earlier expressed concern about the impact of the plant on the health of those living nearby, but the matter was reportedly resolved. The responsibilities of the operation, upgradation, and maintenance of the plant on PPP mode was given to Eco Care Pvt. Ltd, a private agency based in Ahmedabad. The end product of bio compost is being outsourced to one private firm, A1 Agro Company and has been marketed under the brand name of Nongin Bio-Compost.